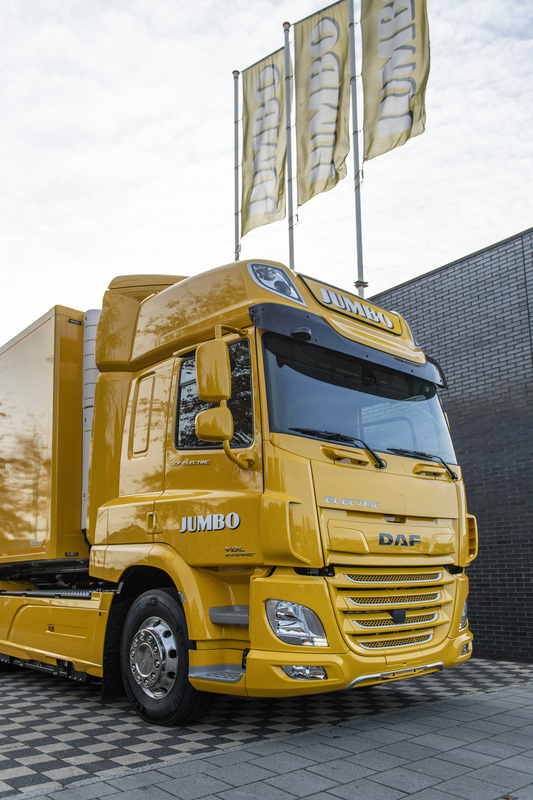 Jumbo takes delivery of first DAF CF Electric - DAF Trucks N.V.
"The transport sector is about to undergo a major transformation, " says Harry Wolters, "Electric trucks look set to become the norm for deliveries in urban areas. Not today and not next year, but definitely within the foreseeable future. 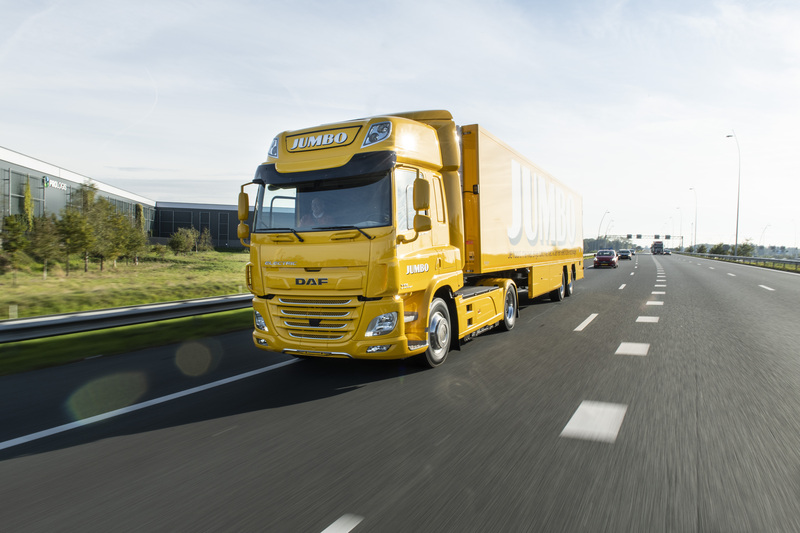 I am particularly proud that today marks the beginning of a large-scale field testing project that will see DAF working in collaboration with VDL and Jumbo. This project, "he adds, "will allow us to gather useful data and experience in relation to both the technology and the operational aspects. We can then use our findings to ensure that the final series-production model provides the ideal solution to future market requirements." "Introducing this new electric truck is the next step towards our goal of implementing a sustainable strategy for our vehicle fleet", says Frits van Eerd. "Our business puts us right at the heart of the community, and our ultimate goal is to be using electric vehicles to supply 45% of our shops. 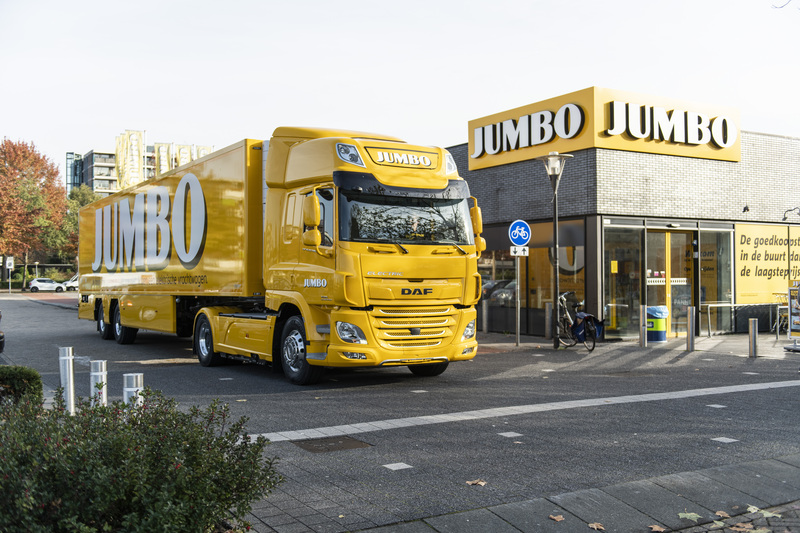 By 2020, we hope to have reduced CO2 emissions from Jumbo's vehicle fleet by 50% compared with 2008." Willem van der Leegte from VDL Groep explains, "It is truly wonderful to see three companies from the Brabant region come together in this way. 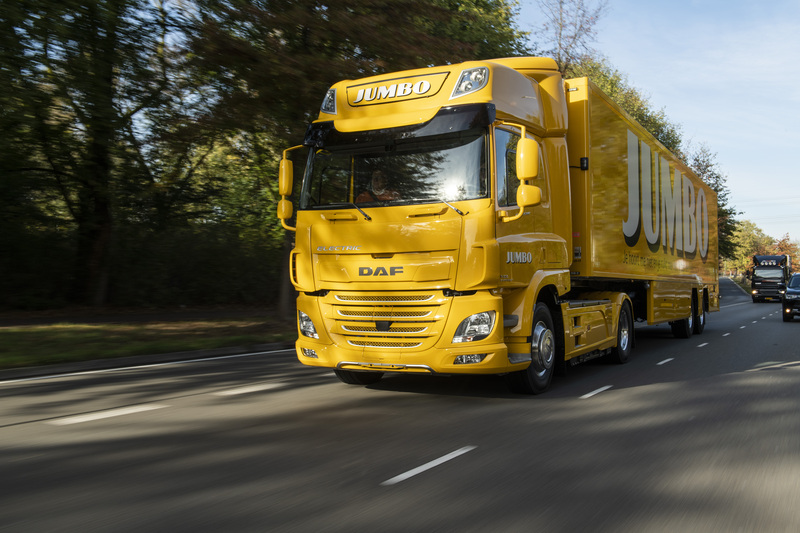 Today's events put Jumbo, DAF and VDL at the forefront of work to develop emission-free transport and reduce noise levels. We are working on the basis that this approach will become the norm in urban areas. The DAF CF Electric featuring E-Power Technology from VDL provides transporters with the ideal solution to their needs and represents a major step forward in terms of achieving sustainability in goods transport and distribution." The DAF CF Electric is a 4x2 tractor unit developed for road haulage at up to 37 tonnes in urban areas, for which single-axle or dual-axle trailers are standard. The vehicle is based on the DAF CF—named ‘International Truck of the Year 2018’—and is electrically operated using VDL's E-Power Technology. The centre of this intelligent powertrain is a 210-kW electric motor powered by a lithium-ion battery pack with a current total capacity of 170 kWh. The CF Electric has a range of approximately 100 kilometres, making it suitable for high-volume transport in the urban distribution market. The battery has a 30-minute quick-charge feature and a full charge takes just 1.5 hours.